At the onset of the World Series, WhatIfSports.com’s MLB simulation engine declared New York the favorite, predicting the Mets to win the title in six games. However, the Mets’ odds spiraled downward following two losses in Kansas City. With the series heading to New York, we simulated the remainder of the World Series and found that Kansas City was the team to beat, with the Royals winning 71.5 percent of the time. The Royals remain the team to beat, winning 56.1 percent of simulations. 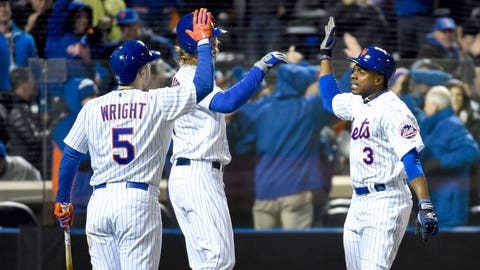 However, a Game 6 — the most frequent series length at 45.2 percent — was evenly split, with the Mets and Royals each capturing the championship 22.6 percent of the time. In tonight’s matchup, New York will send Steven Matz to the mound, while Kansas City counters with Chris Young. Matz was the superior pitcher in the simulation, posting a 3.14 ERA and earning the win in 245 of 501 starts. Young won 106 of his starts with a 6.15 ERA.